Fibromyalgia stands squarely among the top five most discouraging chronic illnesses. For many, the diagnosis is late in coming. For some, it takes years to pin down what’s wrong. When you have fibromyalgia, many doctors will pass it off as depression after the first couple of visits, thanks to similarities in the symptoms. Indeed, the prescription drugs most commonly given to people suffering from fibromyalgia are anti-depressants. Still other patients have heard their doctors say, “You’re just gonna have to learn to live with it.” Yet some doctors see fibromyalgia as the result of an abused and over-stretched immune system and believe it's best treated by going to the root of the problem. Fibromyalgia is becoming better known as an autoimmune disorder (meaning the body attacks its own cells). It presents a random collection of symptoms, including mild to extreme pain throughout the body, and tender points in soft tissues, muscles, tendons and joints. It is also common to experience fatigue, sleep disturbances, morning stiffness, chronic facial muscle pain, headaches, depression, numbness in hands and feet, memory difficulty, irritable bowel syndrome and anxiety. Fibromyalgia often mimics the pain of arthritis without the swelling and destruction of the joints. Fibromyalgia has become increasingly common. Practitioners with a nutritional focus have come to believe that a major role in its development is the lack of calcium, magnesium, and (most of all) vitamin D in our modern lifestyles. Besides the crucial role diet and adequate sunlight play in the cure and prevention of this affliction, stress is also a major factor. For some people, symptoms go away when stress decreases and certain lifestyle changes are incorporated. Physical or emotional trauma may play a role. Some evidence suggests that fibromyalgia patients have abnormal pain transmission responses. Symptoms may be relieved by gentle stretching and light massage, as well as acupressure, acupuncture, and relaxation techniques. But the real root of the problem must still be addressed. 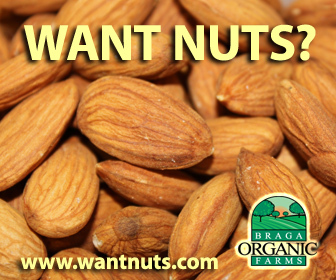 Studies have shown that a change in lifestyle and a healthier diet will often make symptoms disappear outright. When you embark on the raw food diet, you start dealing in health, not disease. You start to cleanse, nourish, balance and strengthen the body, so that the root cause of symptoms gets dealt with, as distinct from merely suppressing symptoms. 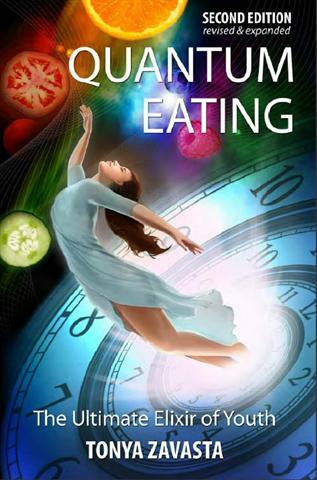 The raw food diet is famously powerful in strengthening the immune system. One study published in 2004 in The Townsend Letter cited that 18 patients with fibromyalgia switched to the raw vegan diet for three months and saw considerable improvement in every area: reduced pain, increased mobility, improved sleep, and alleviated depression. Not surprisingly, the symptoms gradually returned when the patients went back to their cooked food diets. Important as it is, the raw food diet may not always be enough. You need to get that blood flowing by increasing circulation. Improved fitness through exercise is vital. The best way to begin a fitness program is to start with short sessions of just a few minutes of gentle, low-impact exercise. Lengthen your sessions gradually, as your body grows accustomed to the changes. One major reason exercise programs fail is that they’re begun too aggressively. “I’m gonna do two hours a day at the gym” is great for Arnold—not for a beginner. Starting out slowly and gently can help ease you into a good program you can stick with and will help you avoid overtaxing the body. High-impact aerobics and weight lifting could increase your discomfort. Starting slowly helps stretch and mobilize tight, sore muscles. Whatever exercise you choose, let it be a gentle form. Many people find hot yoga remarkably healing. Your workout can be as gentle as you need it to be, wherever you are in your recovery—a great boon to those suffering with fibromyalgia. Hot yoga’s therapeutic warmth helps relieve pain while increasing circulation and releasing toxins through sweat. And, as anyone who’s been to at least one class can testify, hot yoga is the ultimate stress relief! 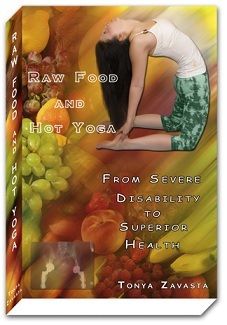 Check out my book Raw Food and Hot Yoga. Raw food and hot yoga might be just what you need to rid yourself of fibromyalgia!